National Moth Week’s main goal is to promote moths, and more generally, biodiversity, by encouraging interested parties to organize events at their local park, environmental education center, university, or homes. Help us to reach this goal by registering an event today! Your event will be added to the world mothing map in the next update. By registering an event you enter a drawing for a chance to win a prize. Prizes included books, field guides, posters and other moth related items. More information coming soon. If you are planing a public mothing event, even if it’s not during National Moth Week, we will be happy to add it to the 2014 mothing maps. Please fill out one of the forms below to register your event. A yellow marker will mark your event on the interactive map. If you have any problems registering, or questions about registering, send us an email! For information on how to start a Moth Night, please visit the Finding Moths page. 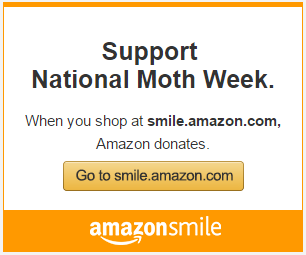 Help spread the word about National Moth Week in your community. Download the NMW 2014 flyer to hand out or post. Our Audubon chapter has an event here in Maine tonight! It is full though. Blue Hill ME. I have been surveying moths on Kelleys Island in Lake Erie for many years. When I speak to groups, people are always very surprised at the abundance of moth species. I really like the “night time angels.” Hope for more moth nights. I don’t have an official event, but took a great pi this morning!! How can I post it? If you are planing to more mothing next week, please register. You can register a private event. Very good idea. I will also try to do something in my area to make people aware of moths. Pingback: 10,000 Birds | The Moths Are Coming! The Moths Are Coming! I am doing a butterfly walk tomorrow, it’s too late to put in the schedule this year but will definitely add to our schedule of events next year. Moth night what a cool idea! National Moth Week is a wonderful idea! Moths are simply fascinating and so important to every ecological niche. Because they are mostly nocturnal they are often overlooked and their relevance neglected. I photograph moths every night using an ultraviolet light and publish the pictures with Project Noah. Mexico has an extremely rich moth fauna that has not been well studied yet. Hi! 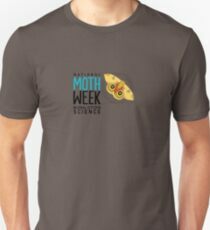 We will be in the Amazon with a group of US educators and students the month prior to Moth Week. We are also partnering with Project Noah and will share our moth spottings via the PN portal during Moth Week! Looking forward to seeing more night time angels this coming year. This year was amazing…..I’m looking forward to seeing what tops that this year. ^^ Go Moths!